“OK Danny Boy” volumes one, two and three. Friday, September 7-9pm at the Paramount 2245 Idlewood Rd, Tucker, GA 30084. 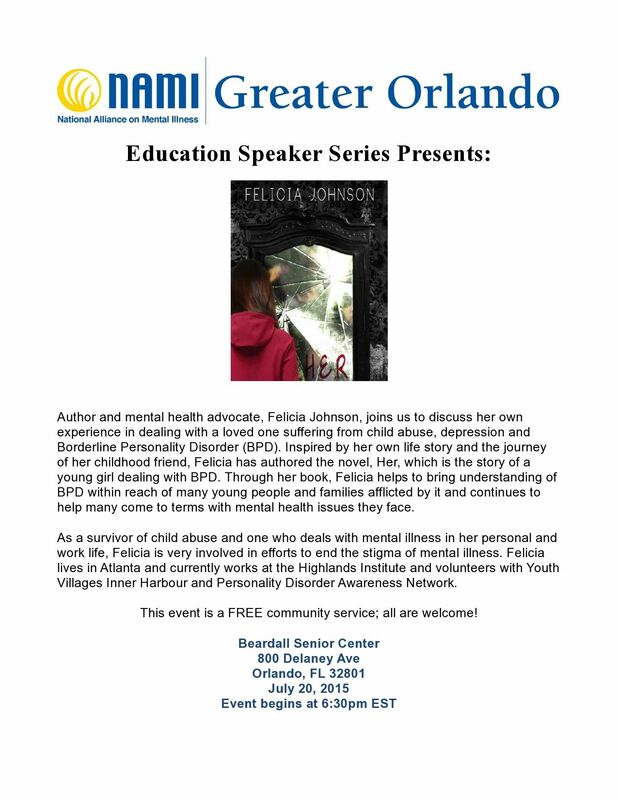 Author and Motivational Speaker, Felicia Johnson, invites the community of parents,educators and consumers to a free Public Book Release Party on youth advocacy, mental health and wellness with the follow up to her first best selling novel “HER” and the release of the spin off trilogy called “OK Danny Boy” volumes one, two and three. 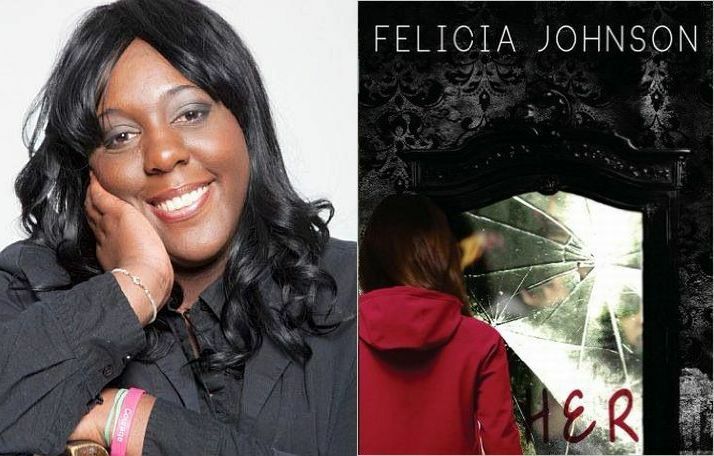 Felicia Johnson is a best selling author, sought-after speaker, youth mentor, mental health advocate who readily engages an audience with the moving story behind her latest book, “Her”. The novel is the story of a young woman with Borderline Personality Disorder (BPD) who courageously peels back the layers of her complex and serious mental illness in a desperate attempt to understand it. Johnson brings remarkable insight and understanding to an illness that affects 1-2 % of the population and wreaks havoc on the lives and relationships of young men and women. She has worked for nearly 10 years in the mental health field and she is an abuse survivor. She runs workshops and does keynote speeches on various topics, especially on working with and approaching friends, families and colleagues with mental illness. Her profound story and educational background is sure to inspire your audience. The spin off of “HER” is called “OK Danny Boy”. This trilogy follows the story of an artistic and mysterious young man who Kristen meets during her stay in Bent Creek Hospital. Daniel proved to be a supportive peer, whom Kristen saw as a positive influence throughout her recovery. However, Daniel had not always been a role model. Daniel is diagnosed with Bi-Polar Disorder, OCD and Juvenile Diabetes. His story follows his journey throughout his healing and learning to cope with life’s transitions, coming of age, living with mental illness as well as a physical illness and the suicide of a close friend. Fans of “HER” will get to see what it was like on the other side of the Adolescent Ward. Part one: “CHAOS” follows Daniel’s life before he goes into Bent Creek Hospital during his mental breakdown. Part two: “MONSTER” follows Daniel’s story while he is in Bent Creek Hospital through his treatment. Part three: “LOVE” follows Daniel after his treatment in Bent Creek Hospital into his recovery process. The books can be purchased online through multiple retailers such as Amazon.com, BarnesandNoble.com and booksamillion.com. They are also available in bookstores near you. Now you can purchase your own autographed/signed books. Get “HER” by Felicia Johnson paperback book, autographed with a personal note from the author to the reader. Included is a Mr. Sharp and “HER” bookmark. If you’re interested in getting the bookmarks ONLY please see instructions below. Starting today, you can purchase a presale, special edition of “OK Danny Boy” by Felicia Johnson. The book releases in April 2017. This special edition includes an autographed/signed copy of the book with a personal note to the reader in paperback and an “OK Danny Boy” limited edition bookmark. 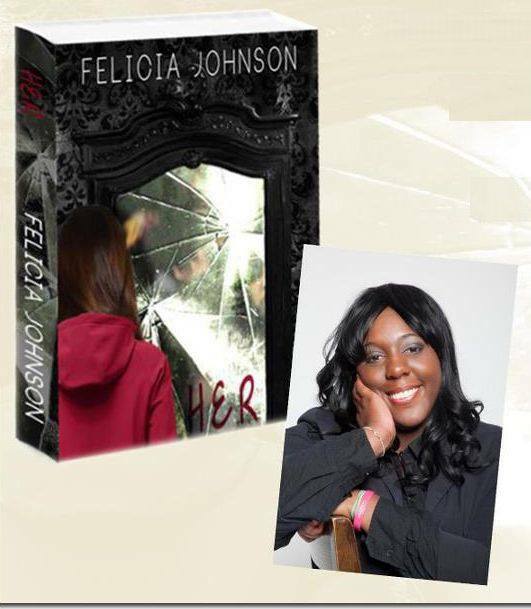 “HER” by Felicia Johnson Autographed Book with personal note to reader: click below to purchase. “HER” by Felicia Johnson paperback book, autographed with a personal note from the author to the reader. Included is a Mr. Sharp and “HER” bookmark. Click below to purchase. Mr. Sharp and “HER” by Felicia Johnson (bookmarks only): click below to purchase. “OK Danny Boy” by Felicia Johnson Presale Autographed/Signed book and special edition “OK Danny Boy” bookmark. Special note: Special Edition bookmarks will be mailed out at the time of purchase. The presale book will mail out on the release date in April 2017. As a survivor of child abuse and one who deals with mental illness in her personal and work life, Felicia is very involved in efforts to end the stigma of mental illness. Felicia lives in Atlanta and currently works at the Highlands Institute and volunteers with Youth Villages Inner Harbour and Personality Disorder Awareness Network.